One of Scotland’s most popular folk bands will perform in two Lancashire libraries and two village halls in February. North Sea Gas will first take their “Fire In The Glen” tour to Garstang Library on Thursday 23 February at 7.30pm. From there they travel to Croston Old School on Friday 24 February at 7.30pm, Accrington Library on Saturday 25 February at 8pm and Tosside Community Hall on Sunday 26 February at 7.30pm. North Sea Gas are Dave Gilfillan, Grant Simpson and Ronnie MacDonald. 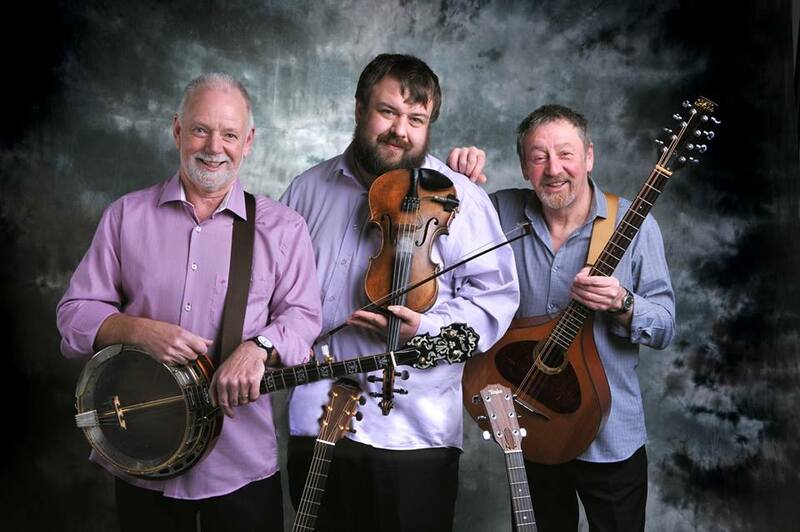 The trio combine their great vocals and tremendous three part harmonies with an array of instruments including: Guitars, Mandolin, Fiddle, Bouzouki, Harmonica, Whistles, Bodhrans, Banjo, all topped off with plenty of good humour. The band’s shows, along with their albums, consist of traditional, contemporary and self-penned material put together in a style all their own. Their style has proven hugely popular during their regular tours of Scotland, America, Canada, Germany, Austria, Estonia, Turkey and many other destinations both in and outside of their home in Scotland. The Lancashire dates form part of Spot On Lancashire’s spring season of touring, taking professional arts events to village halls and libraries across the county. The shows are supported by Folkus, the folk arts network of the north west. Tickets for the performances can be booked directly from each of the venues. For the Garstang and Accrington shows, tickets can be purchased in person from the respective libraries or booked via email by contacting either garstang.library@lancashire.gov.uk or accrington.library@lancashire.gov.uk. To book tickets for the Croston show call either 01772 603600 or 01772 600142 and for Tosside the number to call is 01729 840272. For more information or to see the full Spot On spring season programme, visit www.spotonlancashire.co.uk. Alternatively, contact Sue Robinson by emailing hello@spotonlancashire.co.uk or calling 01254 660 360.